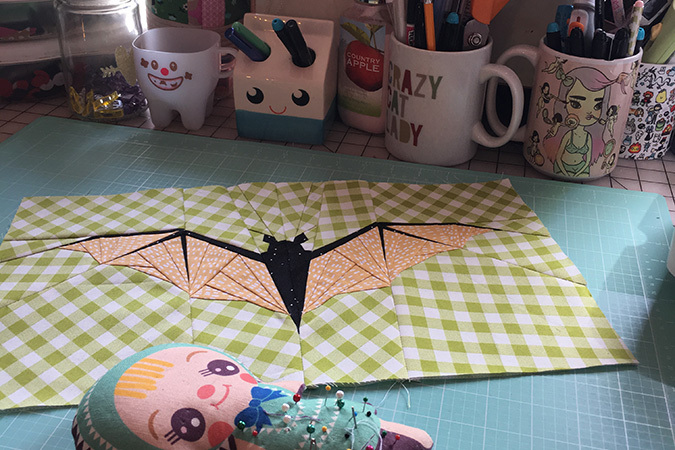 Slyvia over at Flying Parrot Quilts put together a beautiful (epic!) 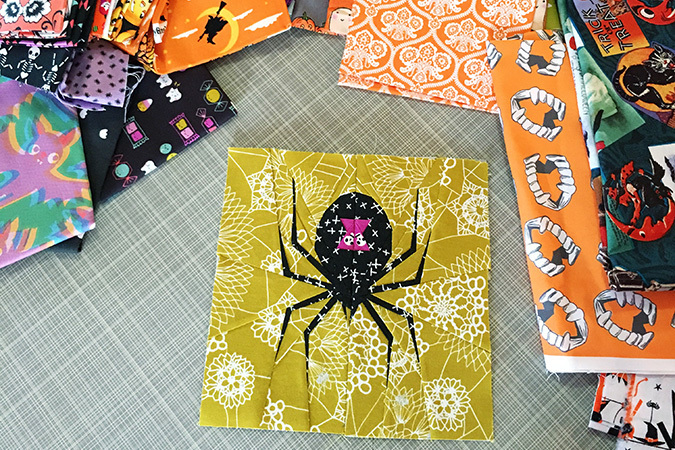 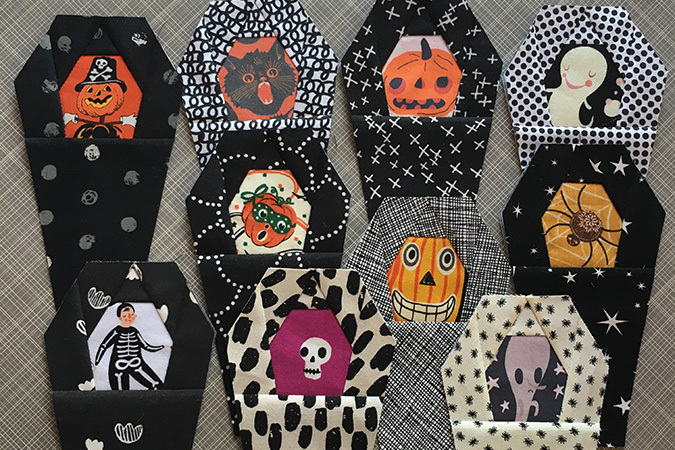 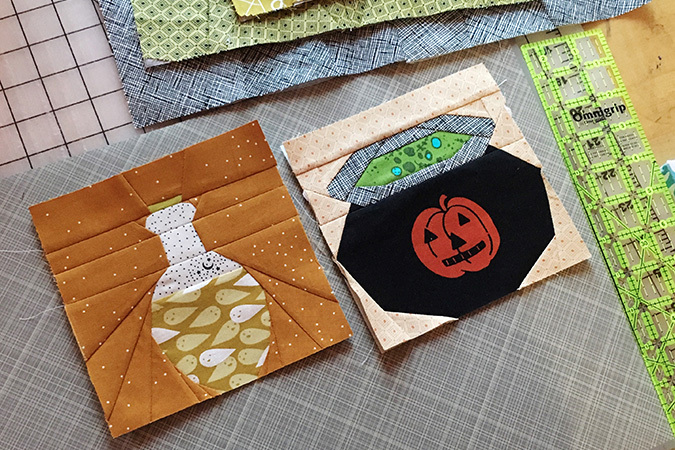 Halloween quilt and after getting so much interest on instagram she decided to host a quilt-a-long. 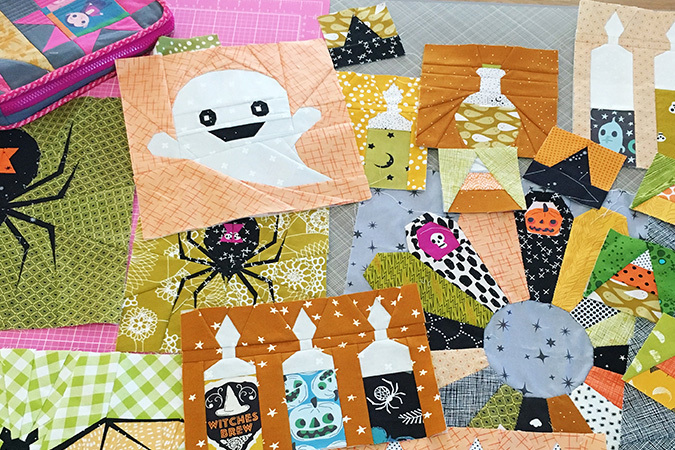 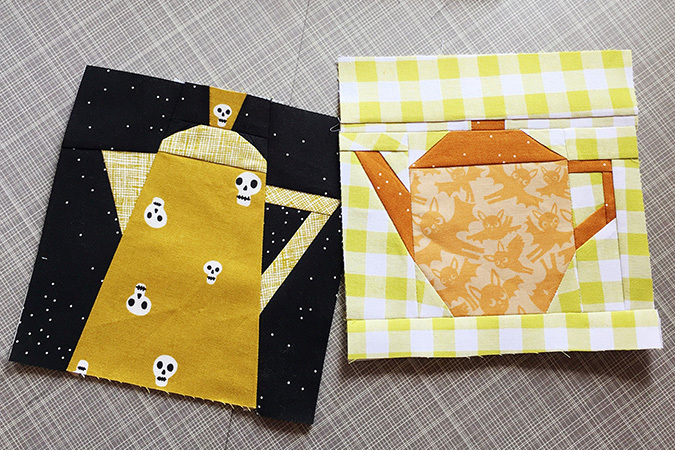 I have been following along each week making my blocks so I too can have an epic Halloween quilt. 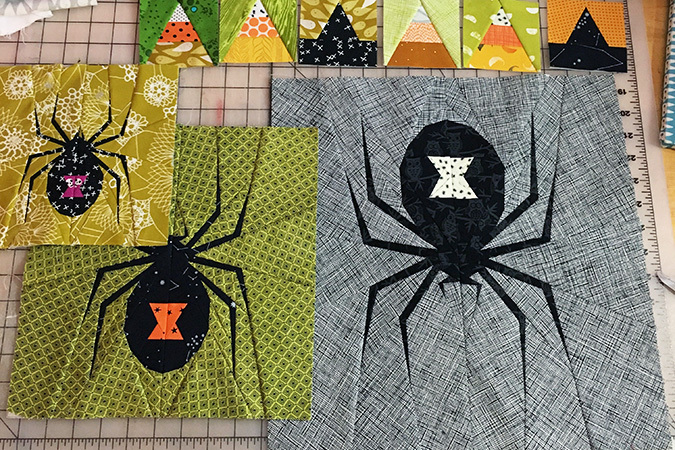 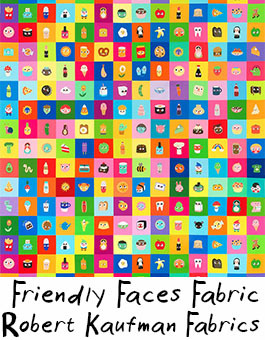 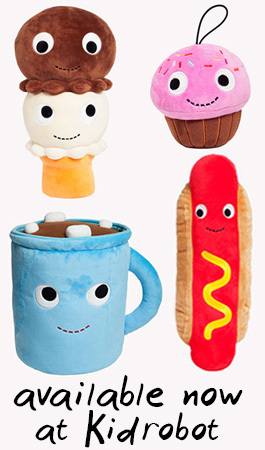 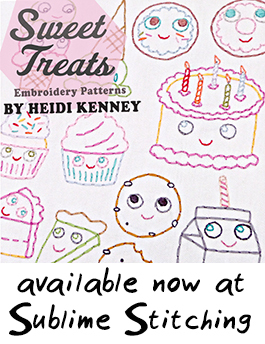 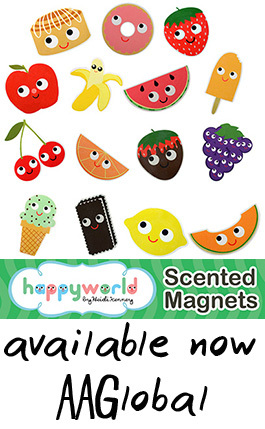 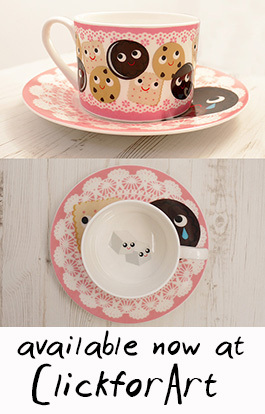 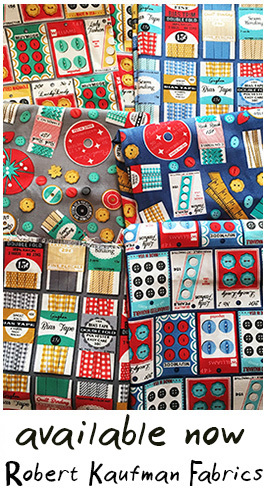 Be sure to check her blog for each week’s blocks, she has links to the patterns, and tips on sewing them. 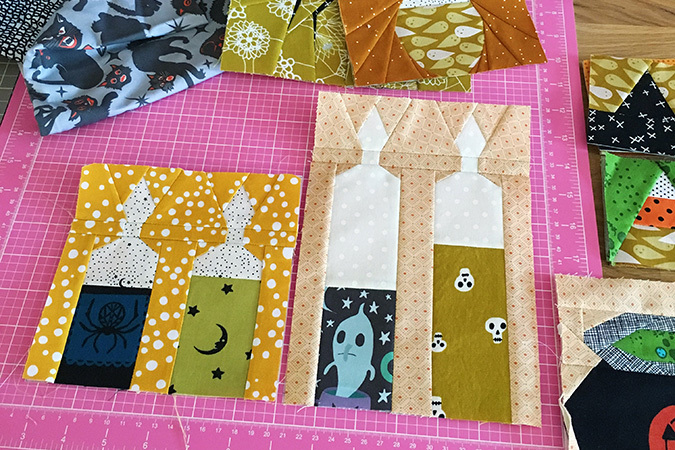 I’d substituted a few blocks (because I prefer to do paper piecing) but I’ve mostly been keeping with the blocks each week and can’t wait to sew them all together!